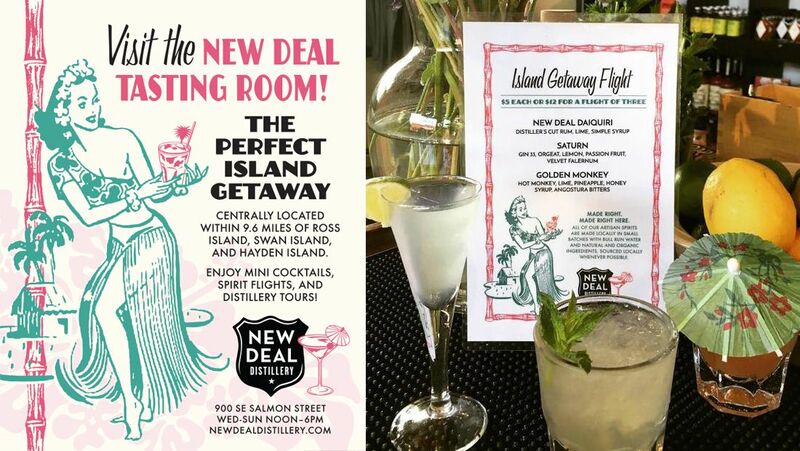 The team at New Deal Distillery wanted a Summer drink flight menu that was a fun departure from their usual (delicious) offerings so they came up with a Tropical Tiki series of cocktails they called the Island Getaway Flight. Drawing on our love of all things retro, we created this small ad in a vintage style for Travel Portland magazine, and this drink menu with the same look and feel for in-house printing and use. Aloha!